Soft pastel on pastel-card, measuring 37 x 30cm approx (15x12 inches). Unframed. 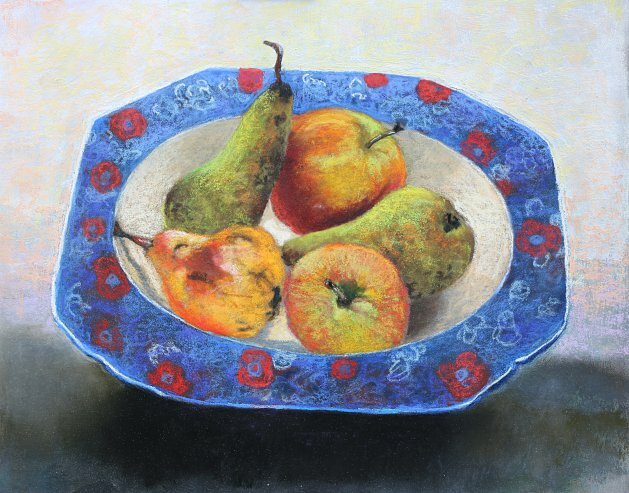 Mixed fruit in an antique china dish. The work will be packed flat between protective papers and boards, rigidly taped, prior to final packing and dispatch. Sent by Royal Mail next-day guaranteed service.